Cardas' most affordable Matched Propagation headphone cable, Clear Light Headphone brings much of the performance of its big brother, Clear Headphone, in a single, light and flexible cable. .190" O.D., Cardas copper, PTFE dielectric, 4 x 25.5 AWG conductors, Matched Propagation, Golden section, Crossfield, litz, TPR inner jacket with polyester braid outer. Clear Light Headphone Cable is available for Sennheiser HD800, HD700, HD600/650, HD580, Audeze and HiFi Man headphones. 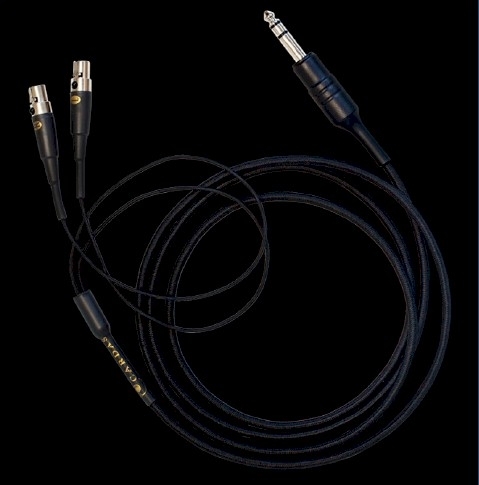 Source-end options include Cardas 1/4" stereo plugs (standard), 1/8" stereo plug, and male-XLR (balanced).